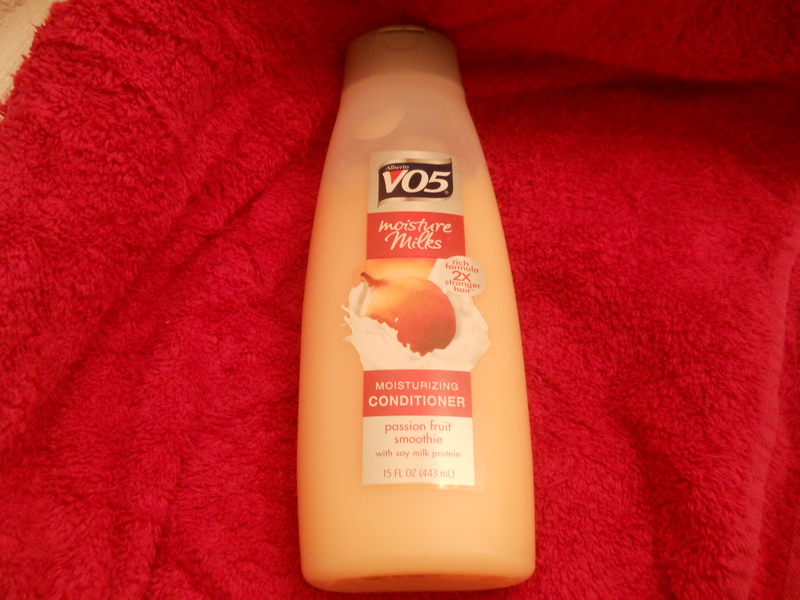 So yesterdays experiment was a fail, as you may remember I tried the baggying method over night with VO5 Moisture conditioner. It was a HOT mess, or should I say a hard, dry mess..I NEVER knew it was even possible for hair to be dry even under running water! Well that was the case, I was super disappointed and not only that I caught a head cold! My hubby thinks it was because my hair was damp all night..So I washed it with my faithful Creme of Nature Shampoo and Deep Conditioned with Giovanni’s Smooth as silk conditioner. it made my hair feel so much better! Oh Well, the quest must continue.. EXPERIMENT: Trying the Baggying method over night with VO5 Moisture conditioner. RESULTS: Hair was dry, yet wet and hard. I just put a lil bit of the SM Smoothie, covered it with a shower cap and satin bonnet and went to bed.